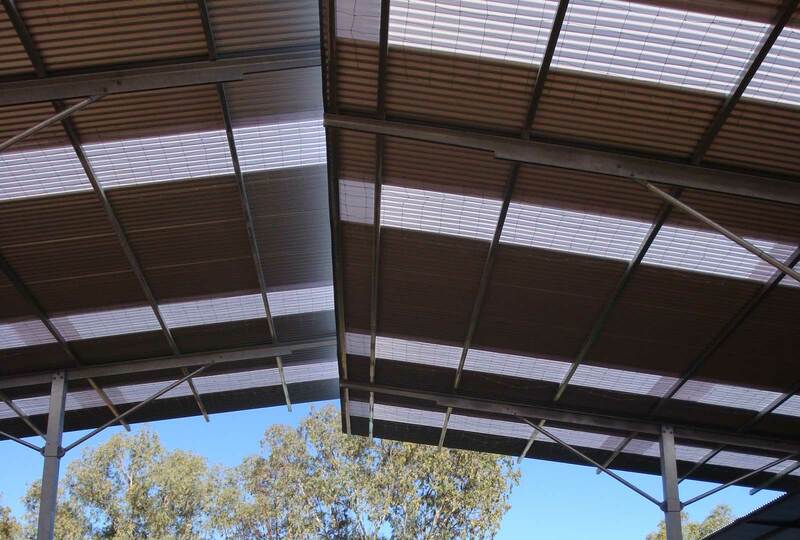 Augen Design won the Design and Construct tender for the Department of Works and Housing, for the Laverton Primary School Shade Structure. 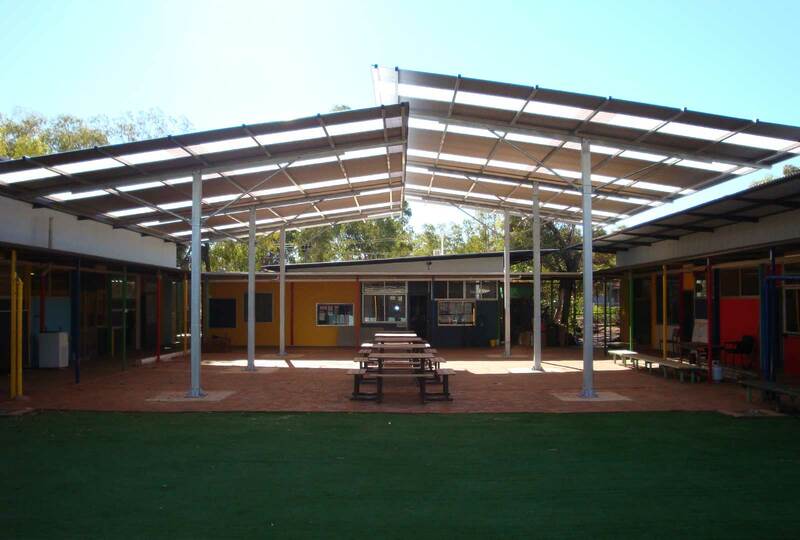 The complexity levels were high, trying to install the shade structure around the existing buildings and while the children were still in school. 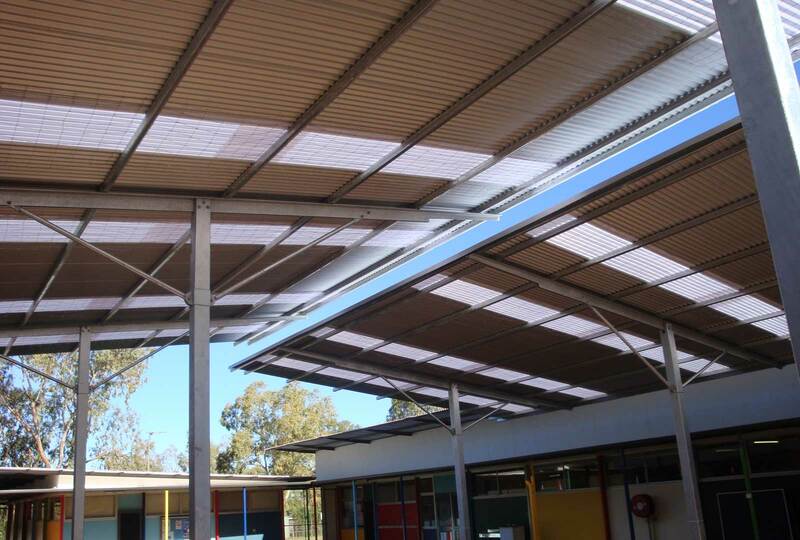 The concept was to provide the shade, keep air flowing and release the hot air at the peak, therefore keeping the children cool in the heat.